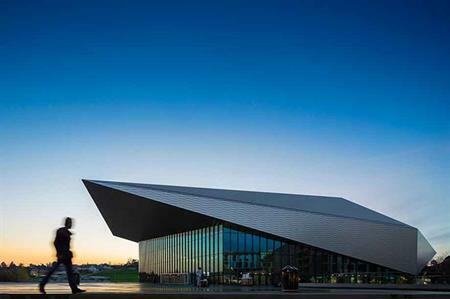 The new SwissTech Convention Centre in Lausanne, Switzerland will host the 13th Greenhouse Gas Control Technologies (GHGT-13) Conference in 2016. The GHGT-13 conference, which takes place in Lausanne's new SwissTech Convention Centre from 14-18 November 2016, will be attended by an estimated 1,000 delegates from the power generator and equipment manufacturer industry and will include academics and policy makers. An exhibition will take place alongside the conference, as well as a welcome reception and a gala dinner, with the main themes of the conference surrounding CO2 Capture and Storage. Sean Twinning, conference services manager, IEA Greenhouse Gas (IEAGHG), said: "The versatility of the venue ensures the conference needs will be met both from a space and functionality viewpoint. "The centre’s sustainability is also a draw given the nature of our work. We look forward to bringing the conference to such a technologically advanced and unique venue." In Pictures: The SwissTech Convention Centre in Lausanne opened in April.